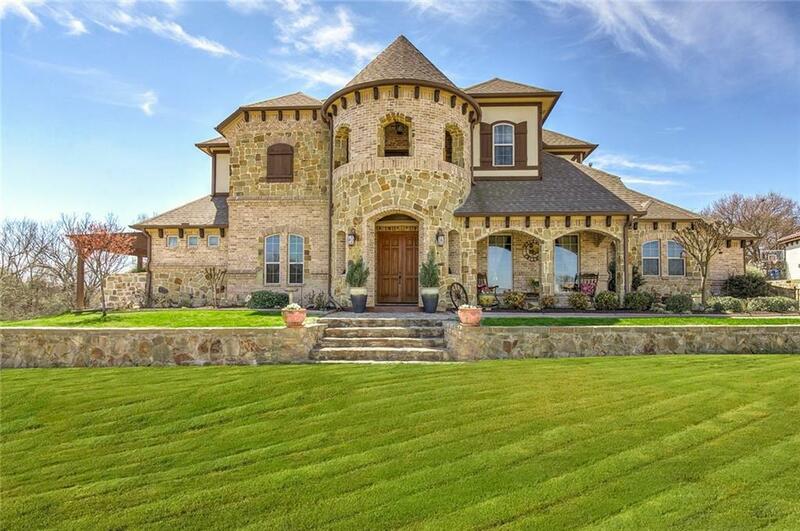 Stunning custom home in secluded gated community. This well appointed home combines luxury and functionality. 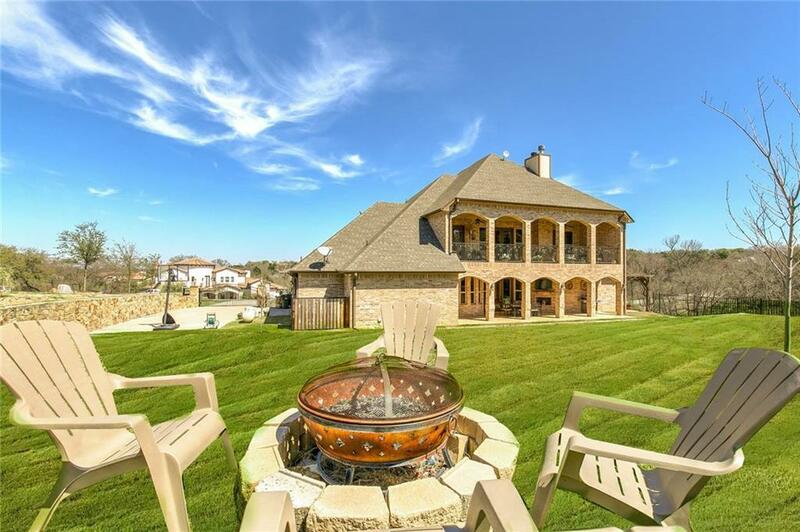 Impeccably maintained on an acre lot. Grand entrance with soaring ceilings and iron staircase. Huge covered patio, pergola, and balcony overlooking peaceful landscape. Gourmet kitchen with gas stove, double ovens, and island open to great room. 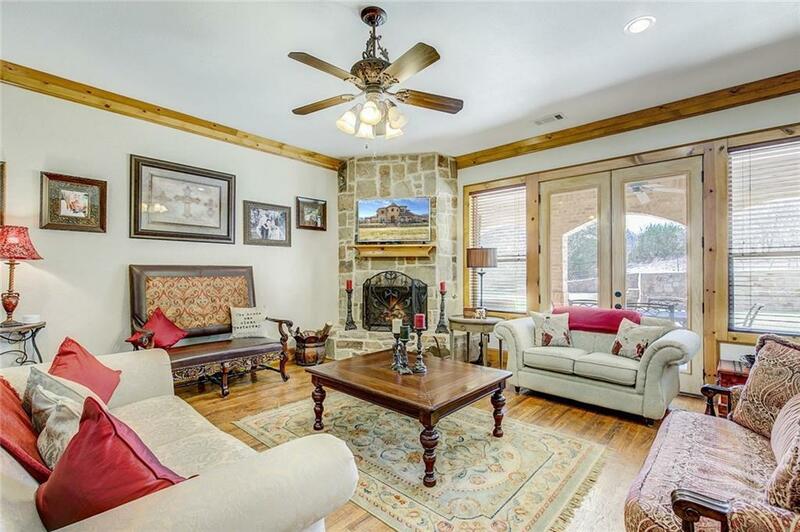 Hand scraped hardwood floors and stone fireplace in great room. 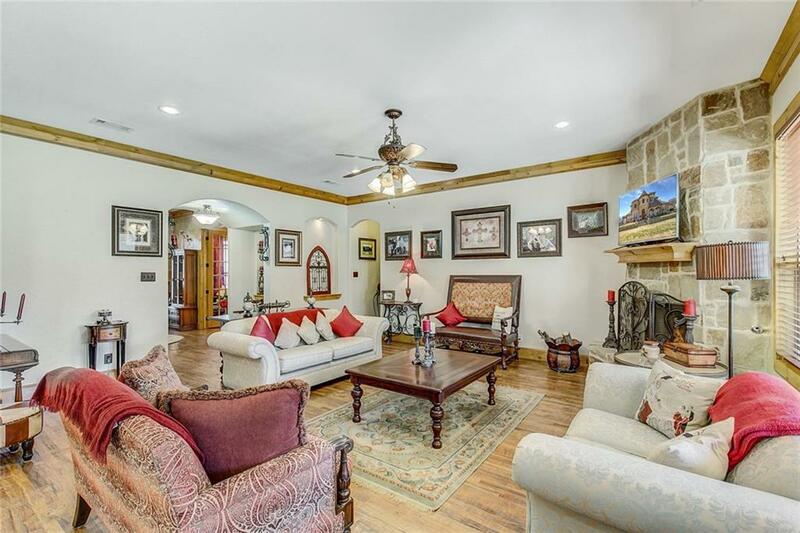 Spacious master retreat with jetted tub and dual shower heads. Each bedroom boasts private bathroom. Office with French doors with large closet. 2 bedrooms downstairs, 3 bedrooms upstairs. Office with French doors. Secondary living upstairs and bonus room would make great library or study area. Offered by Amber Wills of Realty World Professionals.